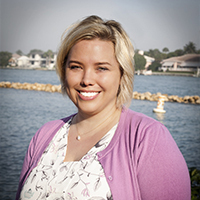 Dr. Kelly Everson is Co-Owner and Florida Licensed Psychologist at Palm Beach Behavioral Health and Wellness. Additionally, Dr. Everson serves as the Training Director for PBBHW’s psychology training programs. Dr. Everson specializes in psychotherapy and assessment of children, adolescents and families. Dr. Everson is experienced in group therapy with adolescents and parents, individual therapy with children, adolescents and adults, and family therapy. Dr. Everson leads the Autism Spectrum Clinic at PBBHW and primarily works with children, adolescents and adults diagnosed with ASD. She has worked with this population since 2006 and feels renewed every time she sees change in her clients- particularly when they have social victories! She is excited to host social skills groups for children and adolescents and always looks to add parent involvement and support to these groups. Helping parents through her work with children and adolescents is her passion. In addition to ASD, Dr. Everson has worked with a variety of presenting problems, including Attention-Deficit/Hyperactivity Disorder (ADHD), mood disorders, peer pressure and bullying. Dr. Everson has extensive experience completing full psychological and psycho-educational evaluations with children and adolescents and often attends Individualized Education Plan (IEP) meetings in the schools for her clients. Dr. Everson is a certified facilitator in John Gottman’s ‘Bringing Baby Home’ program for new parents and regularly holds parenting workshops and classes in the community.